Google offer A number of free Tools on the web for anyone to use, some of which include Google Analytics, Google Webmaster Tools and Google Adwords. These three tools combined satisfy A lot of business needs for any IT company including non IT companies Ofcourse. Ecommerce has become very popular in the modern day as more people prefer to make money both off and online. Online markets need A lot of research to learn and know the market you are entering to be able to sustain and complete with other organisations. One of the key aspects to monitor online are keywords because they are more likely going to be generating traffic for your business via search engines. When we talk about search engines Google always comes to mind because they dominate that niche. To be able to make keywords work for your business you need to know how to work with them. First research your market for possible keywords that are most common for your type on business (Assuming you already have all three accounts setup Analytics,Webmaster tools and Adwords). Before you get money you need to give and the starting point would be to bid for your researched keywords on Google Adwords. Once you have that going evaluate your Adwords and look for keywords with the highest impressions. Use those keywords to optimize your website for better organic traffic from Google this way you still get traffic without paying for it. Once optimized you can use your Analytics to evaluate how well or how bad your organic traffic is and if it is still bad optimize for better organic search results. Google uses Adwords to their advantage by making you pay for traffic but only the traffic that clicks to your site, now you can use their Tools at your own advantage by using organic traffic to work for you. HTML5 has made a huge buzz over the internet among developers. This was simply because of the great new attributes that come with HTML5 and the cool things you can do using it. This new way of developing websites makes it easier to make really beautiful websites in a better and more exciting way. What html5 has done is remove all the long trails of making this stand here and this show there with the help of CSS3. Now making background images has never been easier and more fun. Think of it this way Google made going through countless websites to find something much simpler by simply visiting one site and gathering all the possible information you want at your finger tips. With html5 and css3 things become so much more interesting and the possibilities seem endless. The nice thing about it is you can always have fall back code for those who are still using browsers from the World War II. It appears that Opera is the most compatible browser for html5 support because almost all of the new attributes that come with it Opera seems to be able to be compatible with and handle very well such as the (Priority,Date) which do not work very well with Chrome Firefox or IE9. Each browser is trying to be the leading html5 compatible browser but the race is still on, currently I think Opera is leading the pack. Building mobile Apps is also becoming A whole new ball game because of the amazing things the new attribute bring to mobile browsing like the “email” attribute that lets your mobile browser populate all the necessary symbols by default like the @ and “.com” to make it easier to write email addresses without having to navigate to special symbols (Common on Android & iOS devices). HTML5 is certainly here to change the world with no doubt especially considering all new discoveries techies are blogging about. Some may argue that html5 is not a stable html package so to speak but then again we all have our own opinions which we are Ofcourse entitled to. So if its exciting development on a whole different level you are after then I suggest to start reading up on html5 and try a few example’s see where it leads you. Chances are you’ll be hooked the minute you start reading however if developing is not your thing I suggest you try fishing, or sky diving maybe you’ll get a thrill from that either ways html5 is building new trends and new ways to do cool things. Google Analytics is arguably one of the best free analytics tools available on the net. Google is the the source and power behind Google Analytics. Some people ask the question why do we need analytics and what good are they to your business ? Well if you asked Google the same question they would probably give you a booklet of reasons why they developed the tool and how effective it will be towards your business. Analytics essentially is s tool that gathers up all the web traffic organizes it and displays it to the user in a form of neat presentable tables and pie charts and graphs. The good thing is that you can export all this data to your local machine. Surely one can agree that all this data is important for A business but in what way you ask ? How will you know if your campaigns are working for you or not so you can make better campaigns in future after all if you are not selling or making profits then what are you doing ? How will you know to which engines to bid and what search terms are working for you ? How will you know which engines are bringing in the most money and which keywords to bid for ? I guess you can always go to your bank statement to check how much money you are making thats easy nevertheless ! To run a successful business you need answers and solutions but before those you need to ask the right questions ! Analytics is a great tool that gives you enough data and information to start asking the right questions, in that way not only are you getting better answers but better solutions to keep you ahead of your competitors. Google Analytics use it don’t use it its your choice at the end of the day ! Magento offer two solution, the Community Edition and Enterprise Edition. The Community edition is free but has limited features whereas the Enterprise edition has more features but has A yearly license fee. 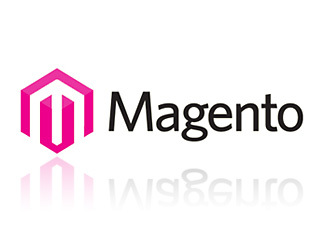 Magento enables you to have full control over the content, look & feel, is flexible and robust. The platform comes with the best set of features out of the box making it easier for merchants to manage.Magento also offers multiple languages and multiple currencies making it a worldwide tool that is easy to understand and use. integration with Google analytics, and some reporting features to help better promote your products. Magento is a leading Ecommerce solution for online commerce because of its rich feature and capabilities to make online shopping easier for both the customer and the stores owner. Magento comes with a lot of features integrated and is easy to use. With multiple languages, currencies, free support, one page checkouts and a user friendly interface they have a recipe for success. In the world of analytics there exists A variety of ways to collect data from the web and Page tags and Logfiles happen to be two of the most widely used methods to capture data. Logfiles refer to data collected by your web server independently of a visitors browser.All requests made by your web server including pages, images and PDF’s are captured in this technique known as server-side data collection. Both these methods have their own way of capturing data and both are sufficient depending on what kind of data you want to analyze. The funny thing here is that the advantage of one is the disadvantage of the other, contradicting so to speak meaning you either take one or the other. These two may be the most widely used methods for data collection but they are certainly not the only methods available. There are however other methods apart from these two collecting data on the web, Network data collection devices which gather traffic data from routers, web server application programming interface (API) are not mentioned here. Data collection enables you to gather more information from data which makes it easier for you to come with solution to unanswered question. A lot of people may think data collection gives you the answer which would be nice believe me but unfortunately that is not the case. In the previous blog we touched base with cakephp and how is serves as a fundamental tool to the internet. Today we are looking at a simple blog tutorial using cakephp 1.3.6 stable on a Linux operating system (Ubuntu 10.04). HTTP Server. For example: Apache. mod_rewrite is preferred, but by no means required. PHP 4.3.2 or greater. 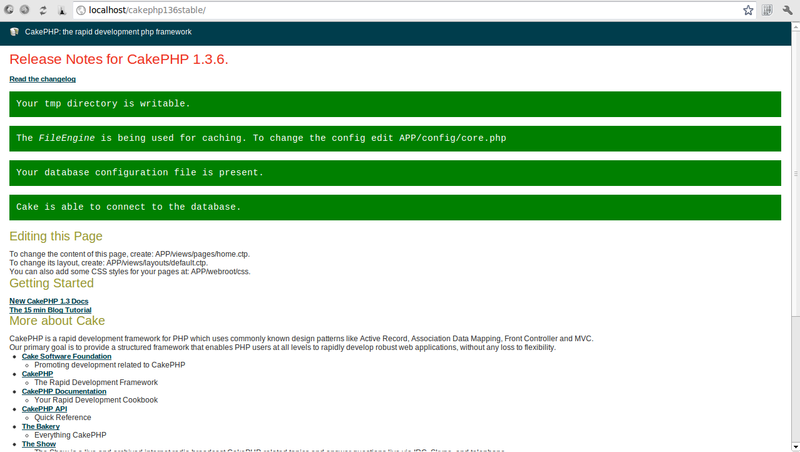 Yes, CakePHP works great on PHP 4 and 5. After adding all the controllers and models you can view your blog showing all records in your database with no css editing but cake has a default css that comes with the application. Cakephp is a framework with lots of functions and methods used to develop php projects. It has a lot of functions including methods that perform a lot of things. This framework was designed to speed up web projects by eliminating a lot of nitty gritty stuff such as having to to link the database properly to be able to process data from and to the DB. Cakephp is the solution to a lot of unanswered questions. For one is consists of php which as most of you know is a widely supported web programming language and is standard with most web services providers. Starting web projects is a pain as some of you may have experienced in previous occasions and Cake has made that process a lot more easier and a lot more faster. To put things into perspective by just designing your database schema and a few lines of Cake code you can have a working system that is fully capable of writing/editing/retrieving and deleting data from your database. Cake uses a method called scaffolding that generates all the code required to communicate with your database. I for one am using Cake on a Linux OS and its works great fast and efficient. Wouldn’t you like to spend more time improving your product and less time actually building it ? Not to say the building part is less essential but everyone always has their doubts about a new system where as they gain more confidence once you tell them about the new improvements impemented on your system. Cake uses a method called Model-View-Controller (MVC) where Model handles all your database interactions, Views for all your output and displays on the site and Controllers for all your commands/scripts for input and the flow. Cake is good for Create Read Update and Delete (CRUD) operations. With a widely supported web programming language and standard with most web services providers Cake looks like the solution to simplify php development without losing any php capabilities. With a simple getting of the ground approach to help you get your project up and running in minutes Cake is sure to make life easier for developers and the world at large.